When we first put our ‘How to Cook Asian’ Corporate Cookery event together, there was a little cynicism in the office – would it work? Is it really a ‘corporate’ event? Is it for staff entertainment or client entertaining? Amazing really. Now corporate cooking is one of our most popular events, and we even have clients coming back for seconds! Year on year the number of successful cookery evenings we run at our Central London facility near St Paul’s keeps on growing. 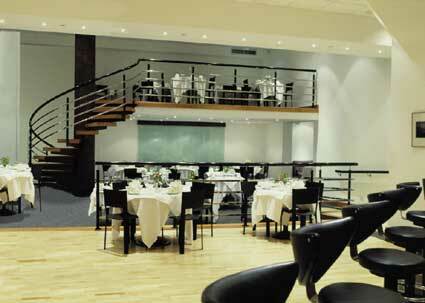 We feel the event’s success has been largely due to our fantastic venue. With wonderful high ceilings, bags of natural light and a modern yet relaxed decor, our facility allows client to run meetings, presentations (and even wine tastings events!) as a pre-curser to a cookery team building session. Be it a group senior management running a client evening event or a truly informal and fun staff cookery session, the emphasis can be adapted to ‘cater’ perfectly for both. We do offer our clients the option to choose a menu of their choice (Thai, Singaporean, Chinese etc) but generally we find a blend of all the menus works best. This not only allows a varied and more wholehearted practical (spice blending, cucumber nut relish, steamed fish in banana leaves, pork and prawn dumplings) but makes for the most fabulous sit down three course meal with wine. Of course, in-case the groups fall a little short with their culinary prowess, our chefs will add a few dishes to supplement the banquet. If you have any kind of cookery event in mind to check our page here, but better still give us a call to discuss.